Anse Chastanet is a luxurious resort in St Lucia which emphasises the natural beauty of the island and its landscape, set on a luscious 600 acre tropical estate bordered by two beaches with incredible views of the famous Pitons. Designed and built by owner and architect Nick Troubetzkoy, the attention to detail is stunning - from the real inclusion of tropical trees and flowers into the actual building to hand crafted, local materials for furnishings and sculpture as well as the superb selection of art works. Each of the 49 rooms at Anse Chastanet are individually designed to maximise the views of the Pitons or the sea, and are furnished with colourful fabrics and local wood. Twelve rooms sit at beach level in the tropical gardens while the others wind up the hillside to take advantage of the views and the trade winds, meaning that most of the rooms remain cool naturally. Some rooms have wooden louvered walls which open onto private terraces to provide panoramic views and others are missing a fourth wall entirely. The most luxurious options are the hillside Piton Pool Suite which boasts a private pool, and The Beach House which is set within pretty gardens at sea level. Dining at Anse Chastanet is varied and exciting thanks to the three restaurants which showcase local produce from the resort's own hillside farm, as well as two bars and Jungle Grill on Anse Mamin beach. With options including a casual beach grill and fine Caribbean cuisine, the resort offers a wide variety of food in a range of settings. Highlights include the vegetarian restaurant, Emeralds, the Indian-Caribbean fusion cuisine at Apsara and the new Balawoo menu at Treehouse Restaurant, where locally caught fish are served to ensure sustainability. The resort also has a chocolate laboratory on site which offers chocolate tasting and truffle-making classes. Anse Chastanet provides its guests with a variety of ways to explore St Lucia whether on land, above the water or beneath it! The resort offers fantastic diving and snorkelling directly from the beach and the friendly dive team is on hand for any guidance or training you may require. Bike tours and hiking trails are available around the luscious resort estate where guests can also enjoy bird watching tours and explore the old plantation ruins. The resort has two beaches, one offering beach service, so if doing absolutely nothing is your idea of a holiday then Anse Chastanet is perfect! On the main beach guests only need to raise their flag to request drinks and snacks, while Anse Mamin is more secluded and is reached by a complimentary water taxi. Anse Chastanet's spa, Kai Belte, is located overlooking one of the resort’s beaches and offers a wide range of treatments by professionally trained therapists including massages, aromatherapy, hair treatments and even reflexology. 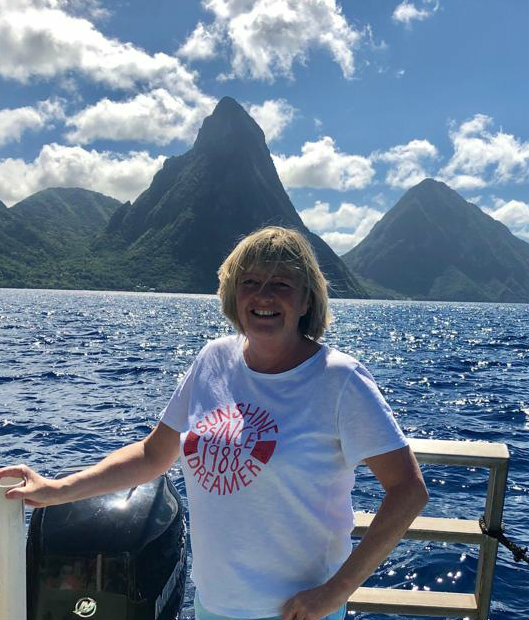 Due to Anse Chastanet’s location, many St Lucian attractions are nearby and the concierge team at the resort will be happy to arrange tours and activities such as a visit to Pigeon Island, a trip to the Caribbean’s only drive in volcano or a hike of the Pitons. Weddings at Anse Chastanet are spectacular and the resort offers a range of settings from a barefoot beach service to romantic services in the plantation ruins within the resort’s estate. Please contact one of our travel specialists to discuss your wedding requirements. After surviving the somewhat bumpy road into Anse Chastanet, I could not have been more wowed by the location of the resort. The south of St Lucia really is as stunning as it looks in the pictures, with dense rain forest and towering pitons. Anse Chastanet has a very special feel, and if you love nature, or simply that feeling of being ‘away from it all’ you will love this resort. I am not a Vegetarian, but for those that are you are spoilt for choice at ‘Emeralds’ which offers a purely vegetarian menu. I personally would recommend sneaking around to Anse Mamin, the second beach at Anse Chastanet, and sampling the lunch grill menu, which is delicious. Be warned, there are quite a few steps down to the beach, but with such a good choice of restaurants, I found it a bonus to actually work off some of the calories I had consumed!! The accommodation - set up in the hillside amongst the forest - really is a special way to spend a holiday, and the resort really does feel at one with nature. I could happily spend 14 nights at Anse Chastanet, and not leave! You really should see some of the south of the island though, but if you do not want to venture far, simply join one of the guided nature walks offered by Anse Chastanet - you camera will not stop clicking! We were lucky enough to arrive at Anse Chastanet by boat and what a way to arrive! Stepping off the jetty onto the dark sandy beach, the location of this stunningly beautiful resort really does come to life and take your breath away. If you love nature, or that feeling of being 'away from it all' this resort will be your dream. There is a great marine park for snorkelling in the bay, and the wildlife that's all around you is there to be enjoyed. Make sure you take a guided nature walk offered by the property - your holiday snaps will be stunning! With excellent dining options available, you might find that the huge number of steps throughout the resort are a blessing to burning off some of the calories you'll consume. If you aren't so keen on being active, the resort does run a 24 hour shuttle at all times so you can be as active or as lazy as you like - after all, you are on holiday! For more information about Anse Chastanet or alternative resorts, take a look at Su's St Lucia Trip Diary.